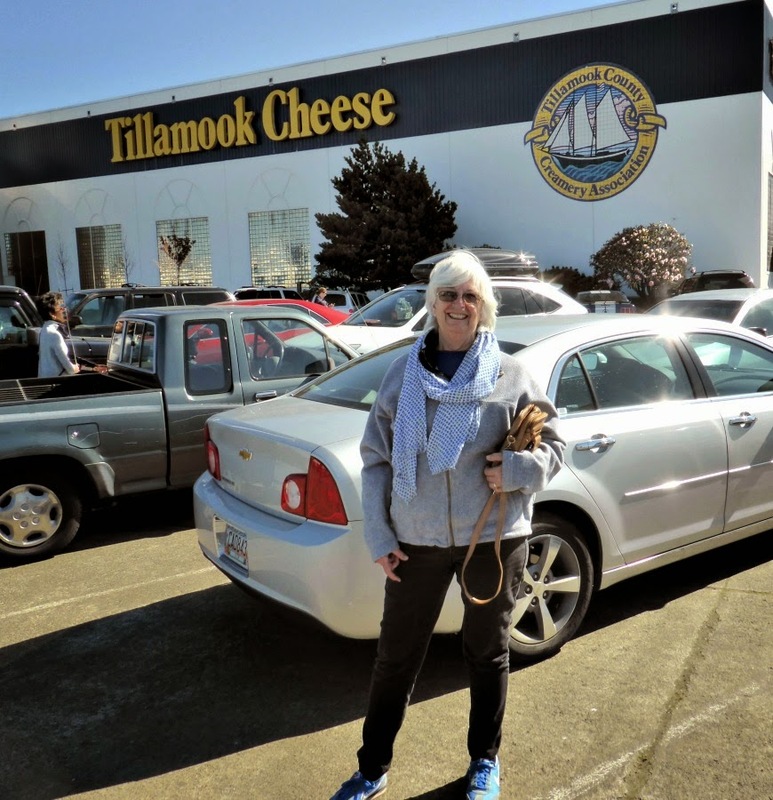 "You must visit the Tillamook Cheese Factory". This was the first thing we heard from anyone who had already visited the Oregon Coast. So we visited. The first thing that you see is this ship on the lawn in front of the factory. And we wondered what on earth a ship had to do with cheese making. 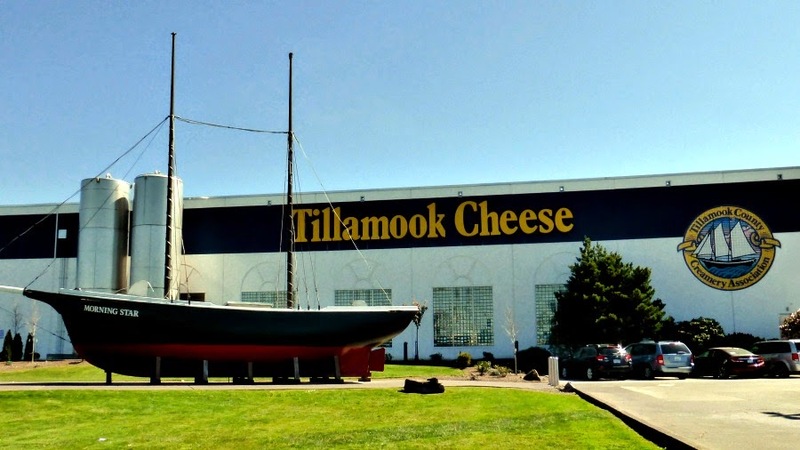 As it turns our this ship in an important part of the Tillamook story. Tillamook residents built the Morning Star, Oregon's first official ship, to carry their dairy goods to market. At the time, the rough wagon trails over the mountains took too long, so the sea-faring Morning Star helped bring fresh dairy products to Portland, where they could be distributed more widely. Today our products return the favor by carrying a small Morning Star schooner on their logo. 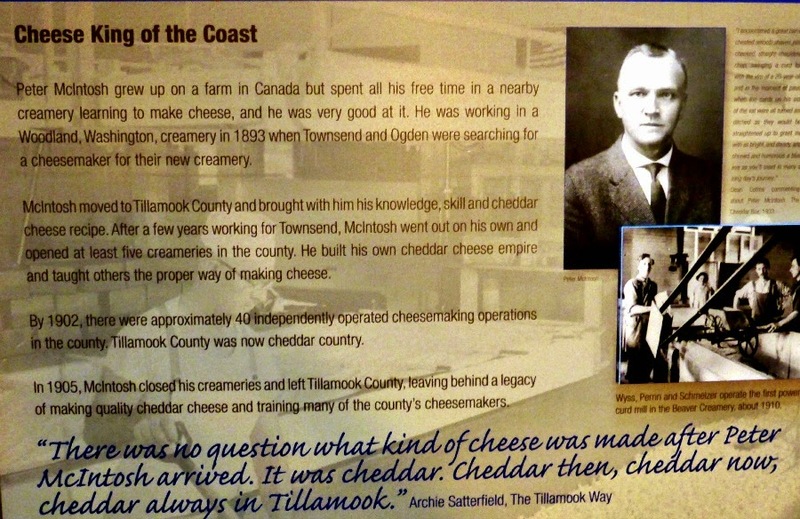 Cheddar cheese making came to the area in 1894 when renowned cheesemaker Peter McIntosh brought his cheddar cheese-making expertise to Tillamook County, where he taught the locals all he knew and earned himself the nickname "Cheese King of the Coast." Over 120 years later, the same cheddar cheese recipe he developed all those years ago is still used to make the famous cheese! 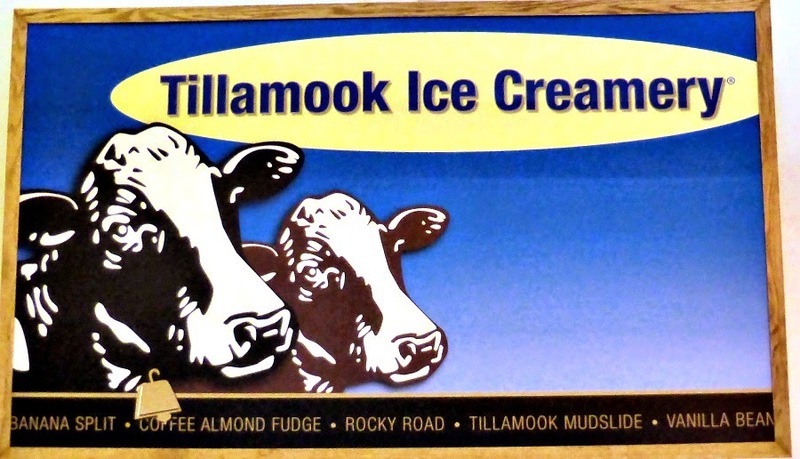 In 1909 several small creameries joined forces to ensure all cheese made in the Tillamook Valley was of the same high quality. 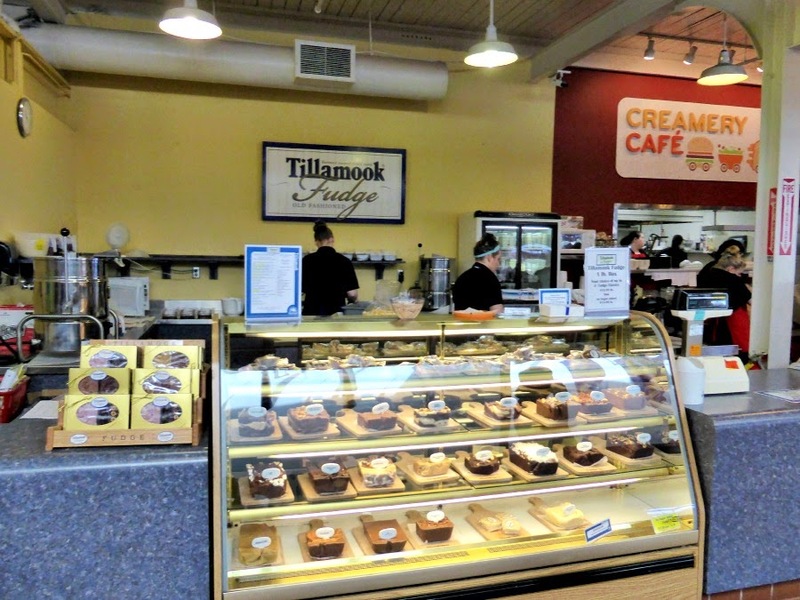 They formed the Tillamook County Creamery Association (TCCA)…and the rest is delicious history. The company is still a farmer-owned co-op today. Over one million people a year visit the facility and their products are widely available in western states. So I purchased enough Tillamook extra old cheddar cheese and butter (which is fabulous - a very low moisture content and therefore very rich) to last us quite a while. Arch bought fudge and ice cream, which disappeared very quickly. Rarebit (sometimes called rabbit) is a British cheese dish. In Britain, it is often served as a small savoury at the end of a meal or as a lunch or supper dish with a salad. Combine butter, cheese, lemon juice, mustard and cayenne in a pot. Stir in beer and Worcestershire sauce. Heat gently, stirring until cheese is melted and mixture is combined, about 7 minutes. Spoon mixture over toast making sure cheese mixture covers edges to keep them from burning under the broiler. Place under broiler and broil for 1 minute or until cheese is golden and bubbly. Sprinkle with parsley. I love cheese and cheese tours of all kinds. 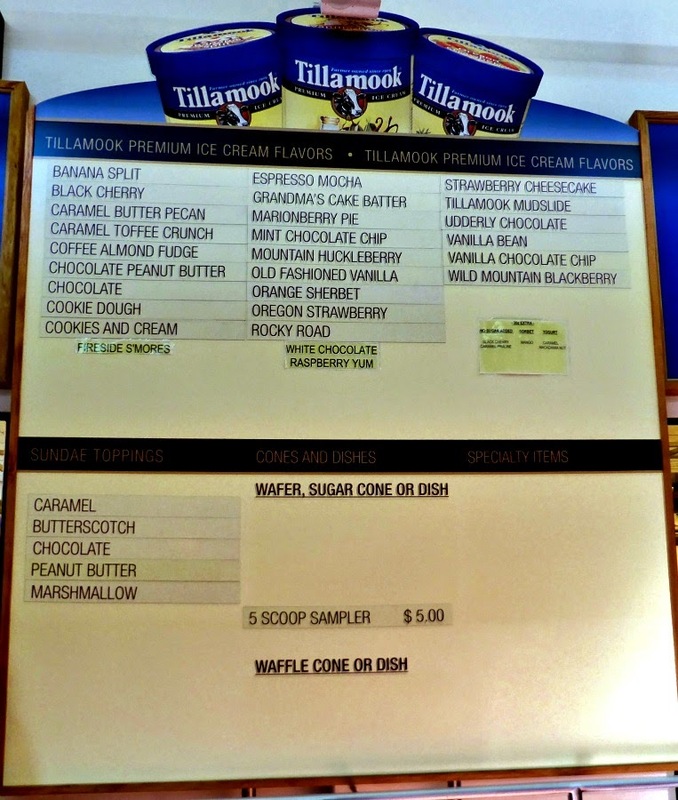 We visited Tillamook about 12 years ago and it was wonderful. The sampling area was store size cooler filled with curd of various flavors and tons of it. Imagine my surprise with their new very small controlled sample area when we stopped last year. We couldn't get over the size of the crowd, either. Boy, things sure did change over the years. Too many people have discovered this place. But they do have awesome ice cream and cheese. 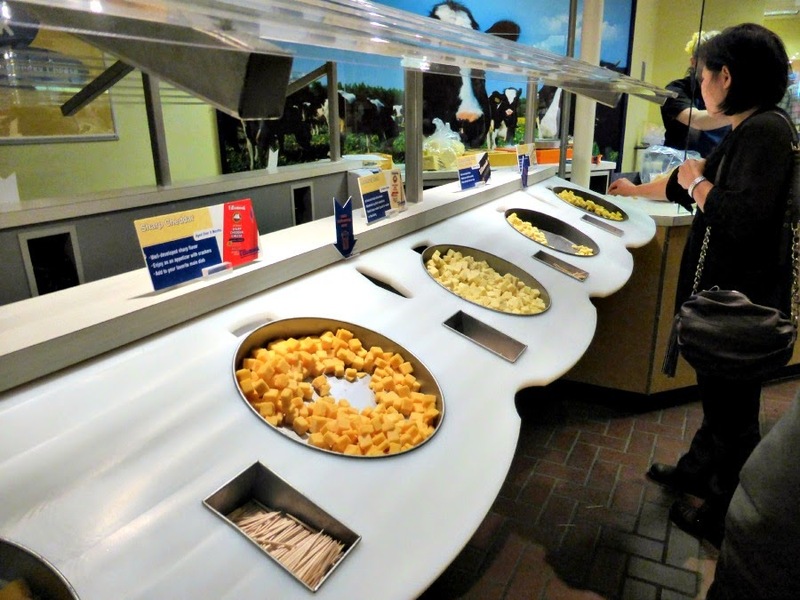 My favorite and the world's best sampling area is Cabot Cheese in Vermont. 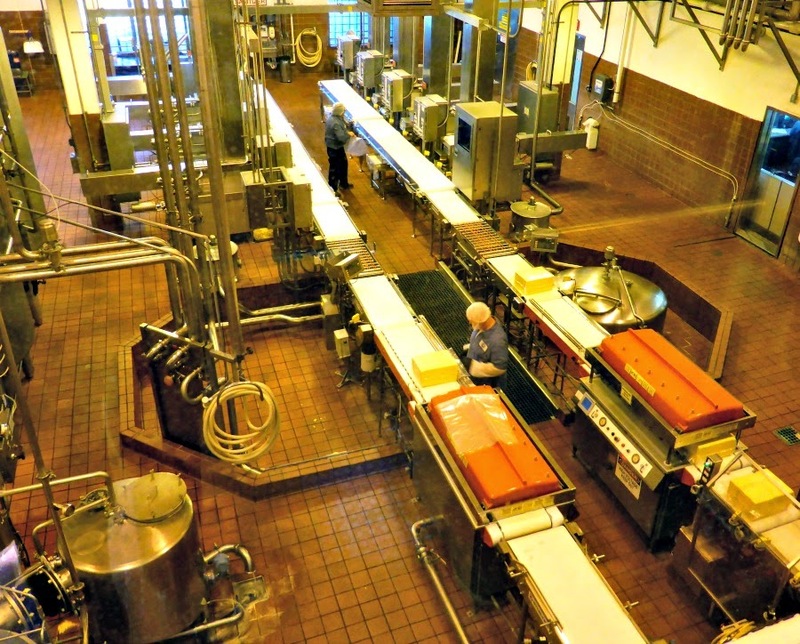 EVERY cheese, butter, and product they make is our for sampling. Just help yourself to all you want...yum,yum!